A revolution in street food has been conquered by the numerous food truck’s popping up on different corners and lots throughout the City of Los Angeles. The eye-catching graphics and plethora of food choices caught the eye of the famed National Geographic magazine and the outcome are these beautiful photographs. From the fast and filling diversified meals to the eclectic crowd of people that gather around to feast on the delicious food, the photographs in this series show you exactly what you’ve been missing out on this whole time. Many of Los Angeles’ essential food trucks have been covered in the spread, so if you’re ever vacationing in Los Angeles (or live there) you’ll know exactly which food trucks to hit up on your vacation and/or lunch break. It’s most likely you’ll recognize them from their cool graphics. 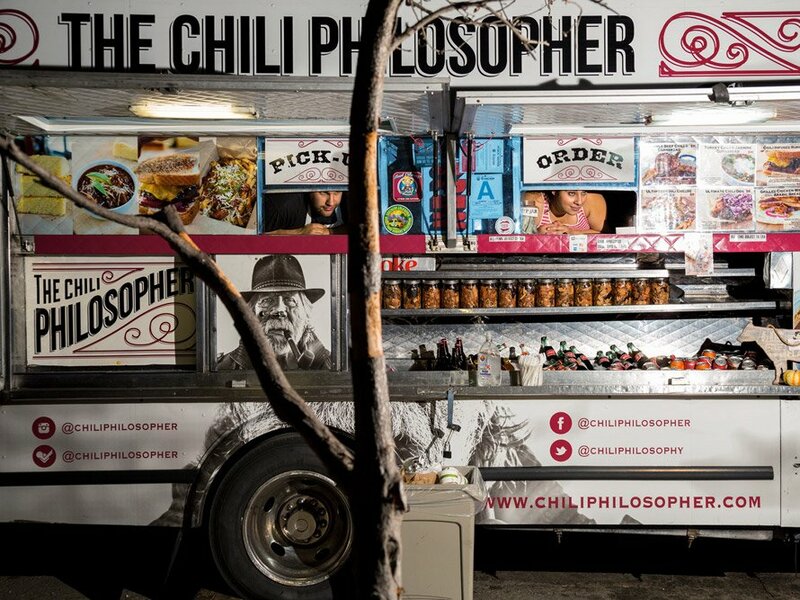 Check out the full spread article at NatGeo and a few Los Angeles Food Truck photos after the jump.